We’ve all heard the conventional wisdom, either from our doctors or some random studies – fat is bad for you, fish is good, and eggs raise your cholesterol. Unfortunately, some of this advice is not only inaccurate, but could be causing harm, as well as robbing you of high-quality nutrients. It could also be keeping you from enjoying some really delicious and satisfying meals. Fats have gotten a lot of bad press, but science is beginning to take issue with this notion. First of all, many low-fat or nonfat foods are loaded with sugar (and therefore, calories), which can be more harmful to health than fats. Second, not all fats are created equal. Many foods high in fat – avocados, olive oil, wild salmon, walnuts – have numerous benefits and can actually help improve health. Even the much-maligned saturated fats may not all be bad for you. Several studies on coconut oil, which is very high in saturated fat, have shown that it may have some real health benefits, including lowering blood pressure and preventing tooth decay. Of course, all fats should be eaten in moderation as part of a balanced diet. There are fats you should always avoid – trans fats being the main culprit. In fact, the FDA recently ordered all food manufacturers stop using trans fats because of the potential danger they present. As with all things, it is best to eat all fats in moderation as part of a balanced diet. While much fish is good for you – especially wild Alaskan salmon, sardines, and herring (all rich in brain-healthy Omega-3s) – many fish are high in mercury and PCBs, both of which have been found to be harmful to human health. Shark, swordfish and orange roughy have high mercury levels; walleye and farmed salmon are high in PCBs. Imported shrimp, which is nearly 80 percent of what Americans consume, have been shown, in some cases, to contain high levels of banned antibiotics and pesticides. Ask your doctor if you have concerns about these types of fish. Eggs are high in dietary cholesterol. That much is true. But there is no evidence that shows that eating eggs raises your serum cholesterol (the number you get from your doctor after a blood test). The Framingham Heart Study examined the serum cholesterol in high versus low egg consumption and found no significant difference in either men or women. In fact, eggs are extremely nutrient-rich and are a source of high-quality protein. According to a study by the Harvard School of Public Health, regular consumption of eggs may help prevent blood clots, stroke, and heart attacks. Myth #4: You can’t have healthy bones without drinking milk. 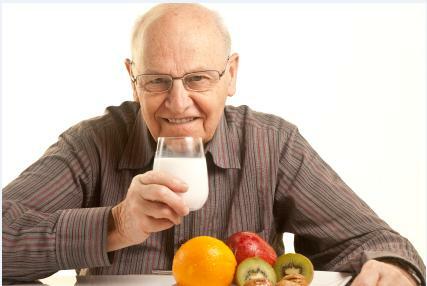 Milk is high in calcium and calcium is necessary for bone health. The Academy of Nutrition and Dietetics also says that milk is an excellent source of protein, riboflavin, vitamins A and D and other vitamins and minerals. But is it absolutely required for bone health? What if you are a vegan, lactose-intolerant, or just don’t like milk? Dark leafy greens – such as kale, watercress, collards and arugula – also are high in calcium, as are broccoli, almonds, white beans and sardines. Additionally, greens have Vitamin K, another nutrient necessary for bone health, and milk doesn’t. Talk to your doctor if you are concerned about getting enough calcium in your diet. The label “all natural” is popping up everywhere these days. There are numerous problems with foods labeled “all natural.” First, the Food and Drug Administration (FDA) doesn’t regulate the term, meaning virtually anyone can use it without substantiating the claim. Second, many “natural” ingredients are harmful to human health – processed sugar, nicotine, and mercury, just to name a few. The bottom line is that virtually anything can be called “natural,” making the term meaningless when it’s found on a food label.